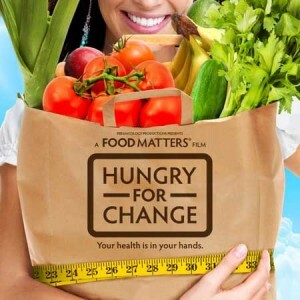 The Healthy Hoff: Event: Free Online Viewing of "Hungry For Change"
Don't miss out on the World Premiere Free showing of Hungry For Change! As this film is from the creators of Foods Matters, I predict this doc is going to rock just as much as that one did! "Featuring interviews with best selling health authors and leading medical experts plus real life transformational stories from those who know what it’s like to be sick and overweight." Knowledge is power - don't miss out! "Your health is in your hands." I'm super excited since Food Matters was so good!